Just as the title says, there were some delays. In specific the one that causes me the most despair is the delay of Alter's Nanoha Exceed mode until late January as listed by Ami Ami. T_T...I'm been waiting so long to get her on my hands ever since I saw the unpainted prototype at a hobby show. However, now because Nanoha along with several other figures being delayed past December it gives me more breathing room instead of having everything released in one month. Thus the purpose of this post, I need some planning now and will make use of this post to list my future pre-orders and such to organize and have easy access to my planned figure purchases. So many end of year releases ended slipping to Q1 2010, leaving me with only one release still scheduled for December. 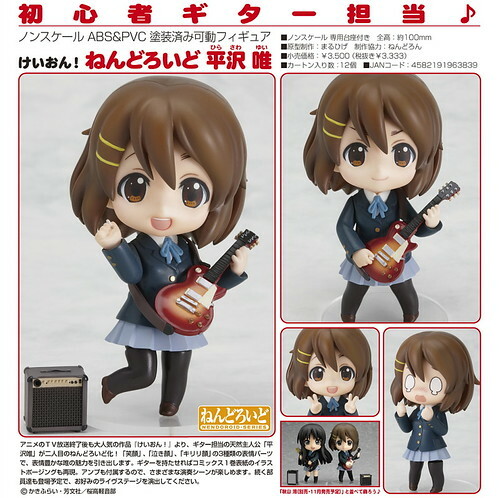 I still have Yui nendo up for pre-order at Hobby Search. 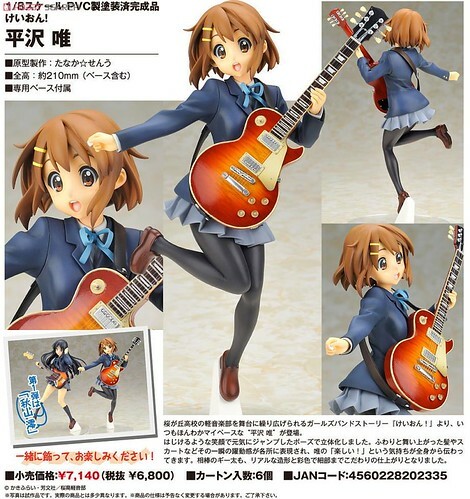 Hopefully I will get her at the end of the year or early next year making Yui my first nendo. She was up for 3,167 yen at the time I pre-ordered. With now an empty December this leaves with the chance to get a couple of recently released figures I want to get. The first is Good Smile's supercell feat. Miku Hatsune World is Mine retailing for about 6,720 yen. 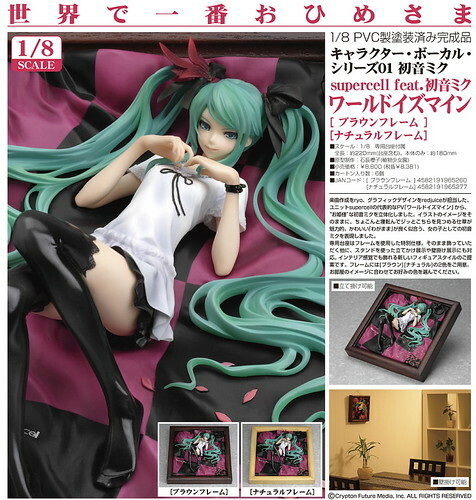 I loved the album and art included, plus Miku is my favorite Vocaloid, so I would love to pick this one up. 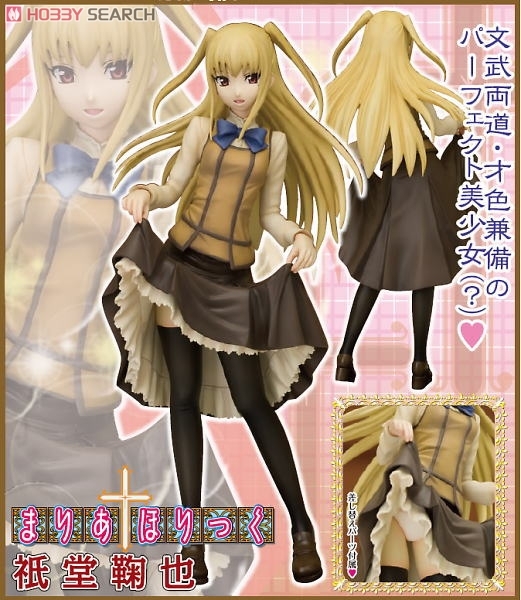 The second is the lovely Maria Holic resident trap Mariya produced by Orchid Seed retailing for around 5905 yen. After having watched Maria Holic, Mariya became one of my favorite traps so I felt compelled to get him as well. If funding allows there are two Kotobukiya older releases I would like to get. I previously got Shirai Kuroko and you can go take a look at my photo shoot of her under the "Figures" tab. Back then I missed out of getting Biri Biri and now I want to complete this duo after watching/reading A Certain Scientific Railgun. Biri Biri retails around 4865 yen. I have given up on getting my hands on Kotobukiya's Hinagiku swimsuit version. 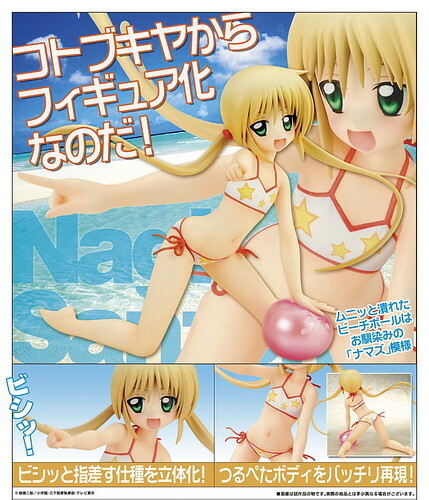 However, I still have a chance to get Nagi for about almost half price when she comes in stock later this month. Time for the new year, in January I have a bunch of Magical Girl Lyrical Nanoha stuff. First up is of course what became my most wanted figure right now. I'm a big Nanoha fan, she is my favorite girl from the series. When I saw the painted version of this figure I knew I had to have her regardless of the cost. Thanks to Ami Ami I pre-order her for a more manageable 10 290 yen. Naturally, I also got the movie version of loli Nanoha pre-ordered for 2150 yen. Chiaki due to her slipping into January will give up her title as my first nendo. If you don't know who she is go watch/read Minami-ke, it's awesome. I got her pre-ordered for 2793 yen. I undecided as to get Fate or not. I leaning towards getting her at a later time. I'm afraid the same thing will happen with her as it did with her adult form and become hard to get a hold of after the original release. 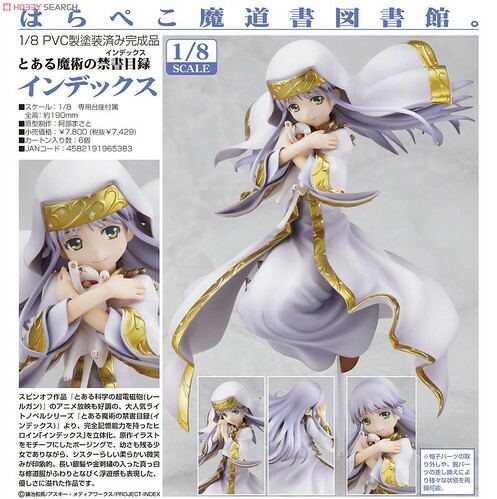 She has the same price as figma Nanoha of 2150 yen. Also up for consideration is the upcoming Lyrical Nanoha A’s Portable - The Battle of Aces PSP game. 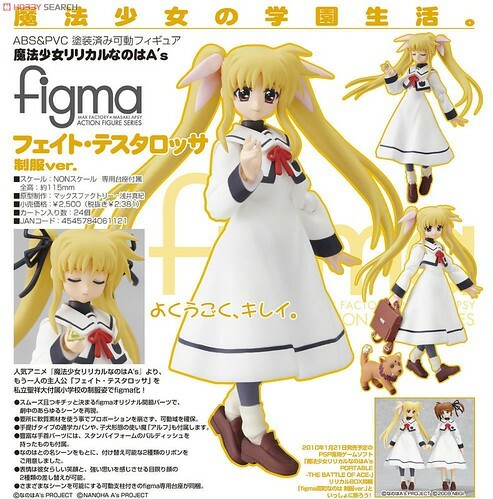 The "Lyrical Box" version that comes with this school uniform loli Nanoha figma. It has a steep price of 12 820 yen. 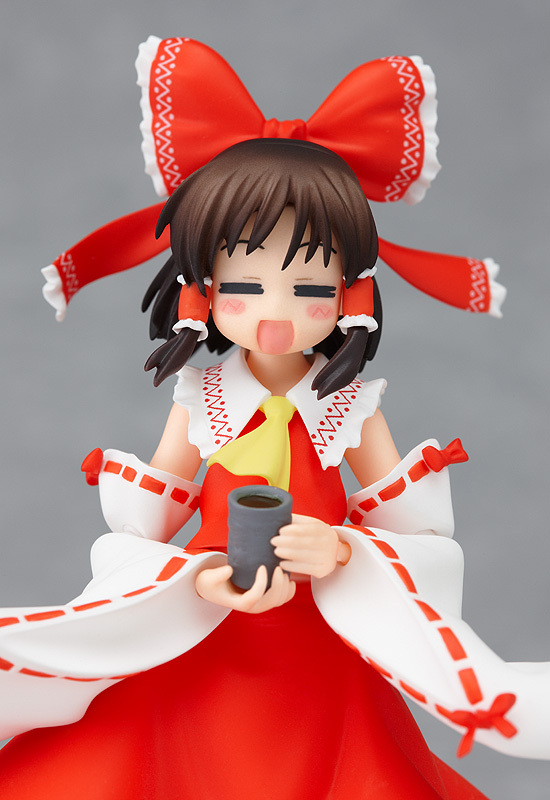 On a small separate note, January also has Reimu figma. I have seen her on several places from anywhere between $50-90. 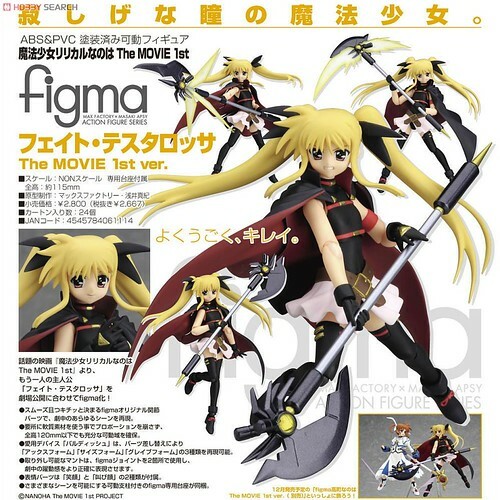 Regardless of the cost, I will get my hands on this figma next month. 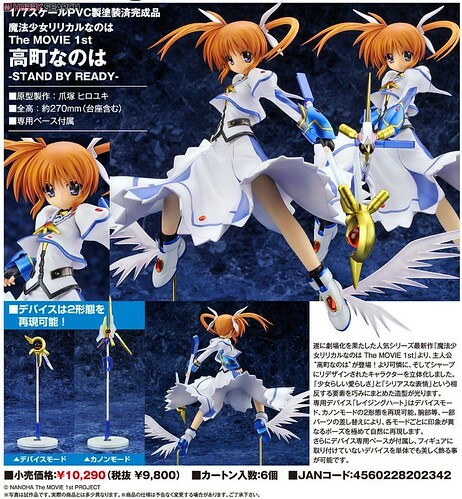 Leading the pack for Febraury is Stand By Ready Nanoha by Alter. 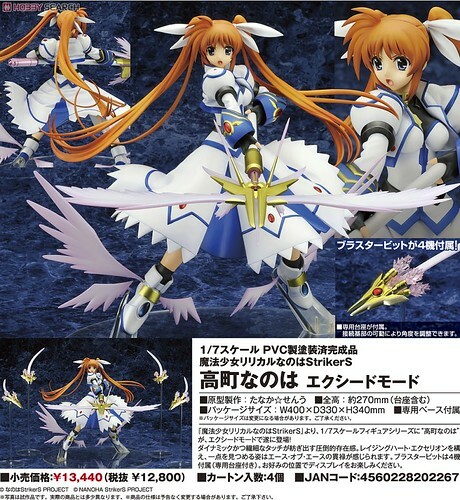 I'm not missing out on any Alter Nanoha figures period. I got her pre-ordered for a cool 7902 yen. 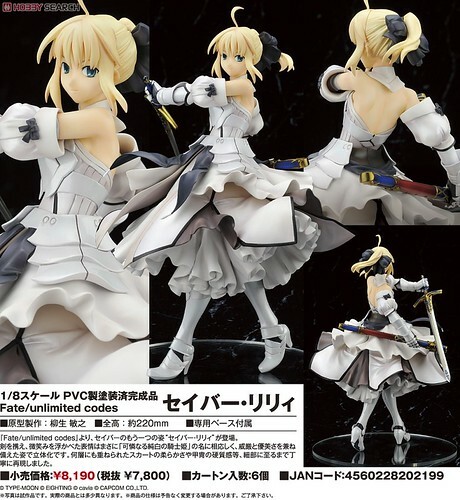 While everybody but one person I know of was head over heels for a certain previous Saber Lily release, I passed on her. Instead my attention was focused on Alter's version, sadly due to her previous release date I didn't pre-order her. 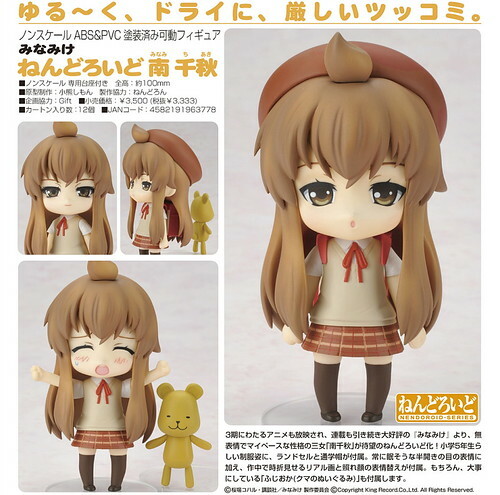 If I get the chance I will pick her up in February for about 6280 yen. A surprising release that was announced is the lovable Osaka from Azumanga. I didn't expect an Azumanga figure at all, and this being Osaka of all people I can't pass it up. 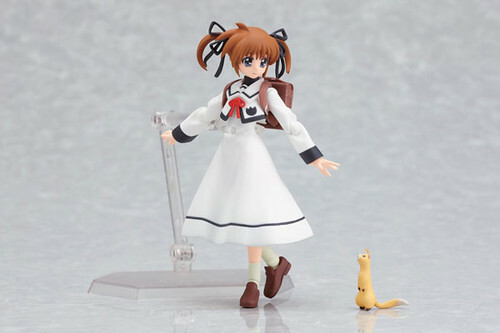 I will pre-order her for 3840 yen. 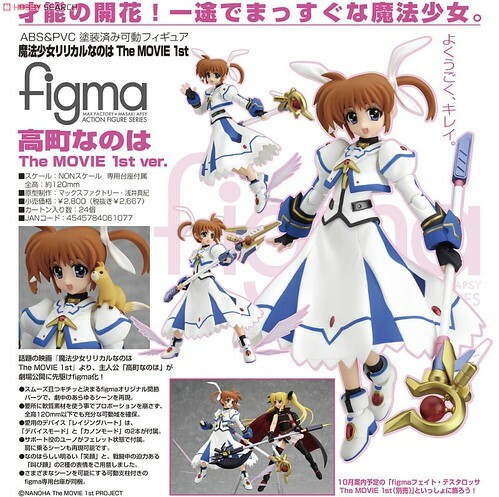 If I end up getting uniform version Nanoha I will pick up Fate as well. She retails for 1920 yen. 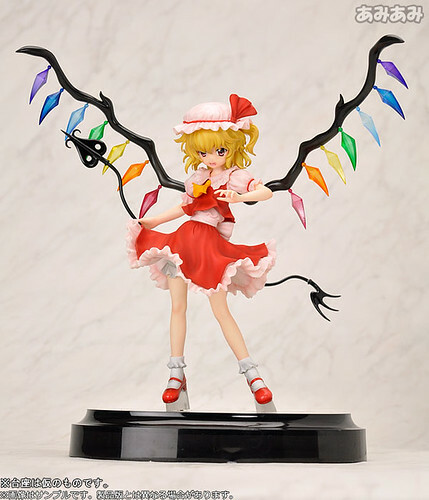 Another favorite Tohou character of mine is Flandre Scarlet, boss of EoSD's extra stage. She retails for about 5450 yen. So sad, I was looking forward to Yui this month. After reading about Mio's delay it was expected that the same would happen to Yui. I have her pre-ordered her for 6460 yen. Also in March I got my eyes on Good Smile's Index. 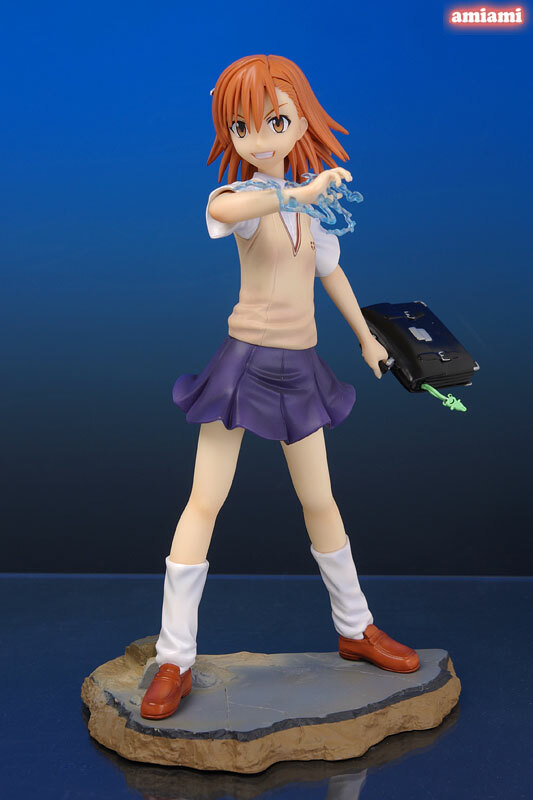 I hope Good Smile releases the other heroines from A Certain Magical Index mainly Biri Biri. Current price of about 5850 yen. 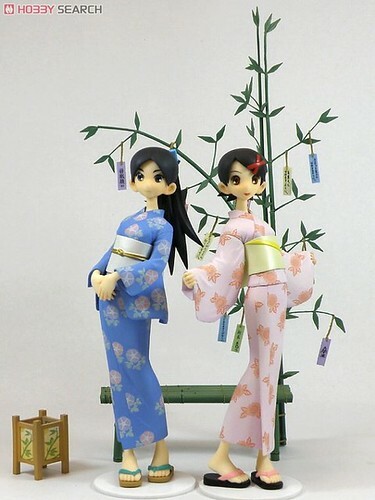 Also in my radar is this nice Sayonara Zetsubou Sensei set featuring the two scariest girls in my opinion from his class. This is being produced by the unknown to me Peadot for 6940 yen. 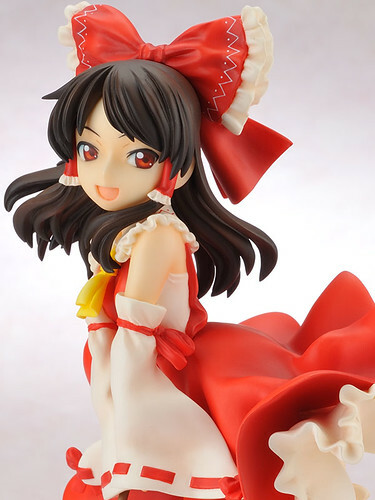 Another Reimu figure on the list. 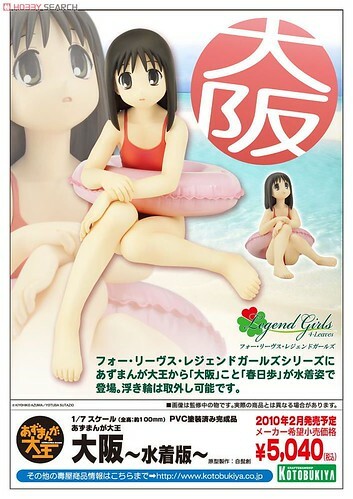 This was previously a resin kit, that now thanks to Gift it will get a PVC release. This will retail for 7140 yen. That's all I got so far. Now that I have listed the figures I want in the foreseeable future I have a better idea of what I want and stuff that I can pass on or try to buy at a later date. Need to plan my purchases carefully, since I still got to consider my gaming purchases for Q1 of next year. I shall now make use of this post to either add or remove figures I plan on getting or not.